September 17, 2018 — PRESS RELEASE – Flood of formula donations a second disaster: well-meaning donations put babies at risk during hurricane Florence. 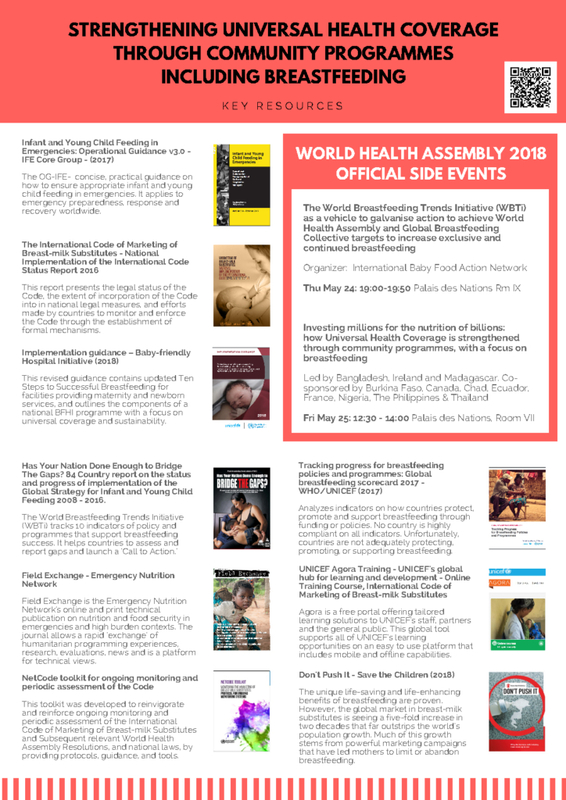 May 24, 2018 — This resource sheet was prepared in advance of the 71st World Health Assembly and includes links to many of the documents and reports regarding infant and young child health (IYCF), including infant and young child health in emergencies (IYCF-E). Downloadable with links to each report. 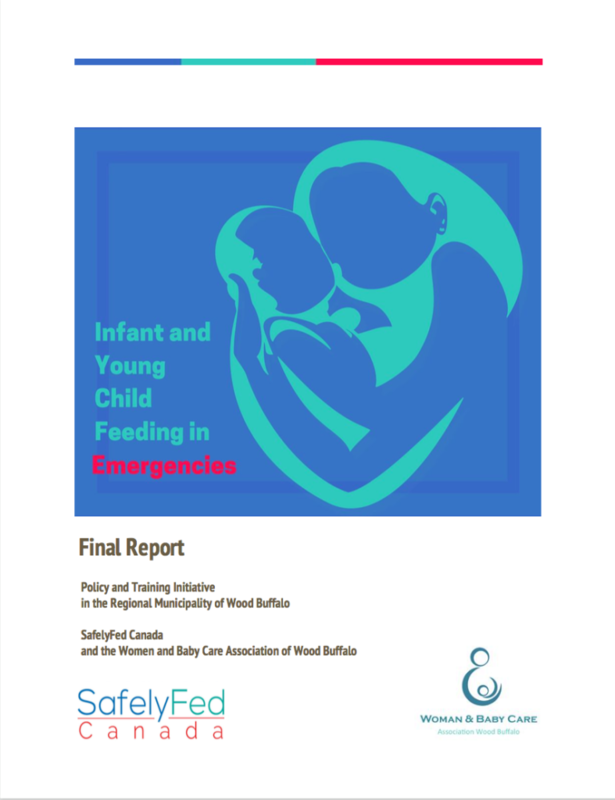 May 9, 2018 — This report is the outcome of the Infant and Young Child Feeding in Emergencies (IYCF-E) Policy and Training Initiative in the Regional Municipality of Wood Buffalo. The Wood Buffalo Woman and Baby Care Association partnered with SafelyFed Canada, and with the support of a Alberta Wildfires Recovery Fund grant from the Canadian Red Cross, worked closely with the municipality’s Emergency Social Services and Alberta Health Services Community Health to assess the community’s needs, develop and deliver training, and create policy and programs to improve emergencies preparedness for families with infants and young children. 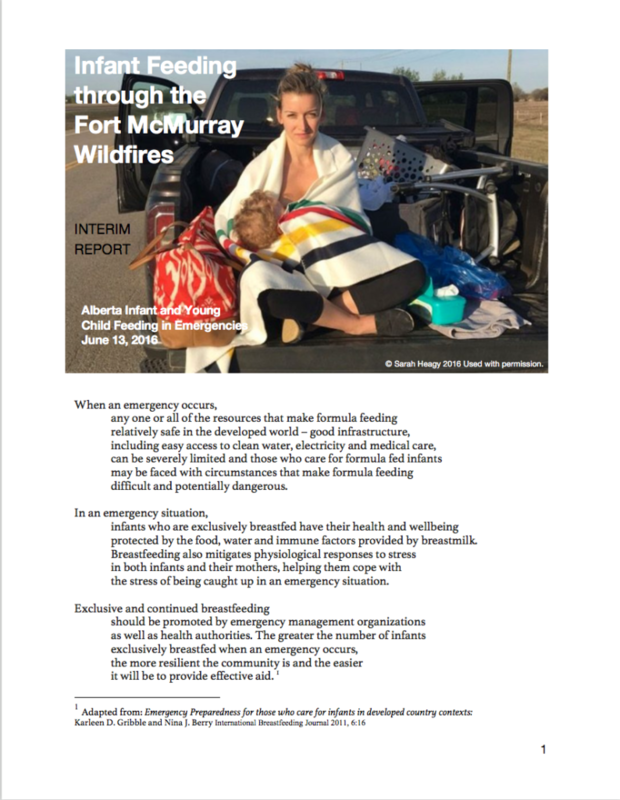 June 13, 2016 — An ad hoc coalition responded to the infant and young child feeding needs during the Fort McMurray wildfire evacuation. 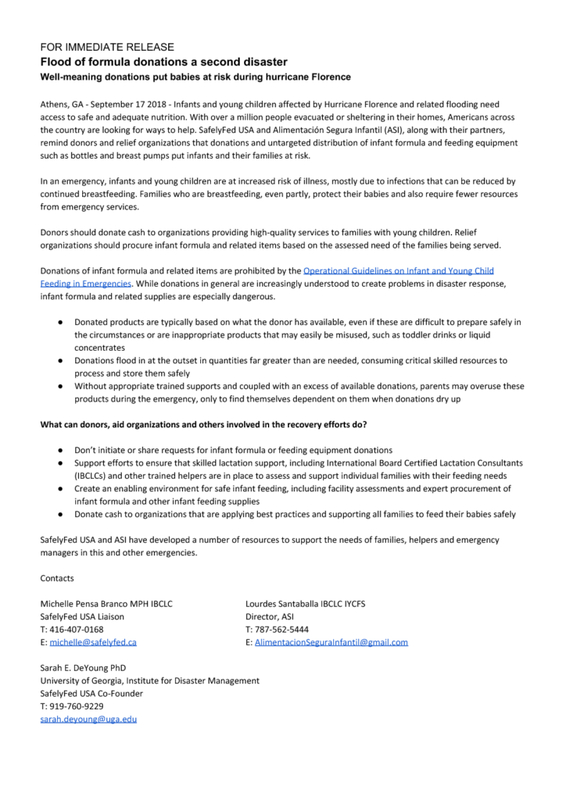 This interim report details the supports provided and includes the finding that, while the majority of infants were breastfeed exclusively or partially prior to the evacuation, afterwards majority of children were not breastfed – 57 per cent prior to evacuation and only 49 per cent afterwards. Immediate, short-term and medium-term recommendations were issued as the community prepared for re-entry. 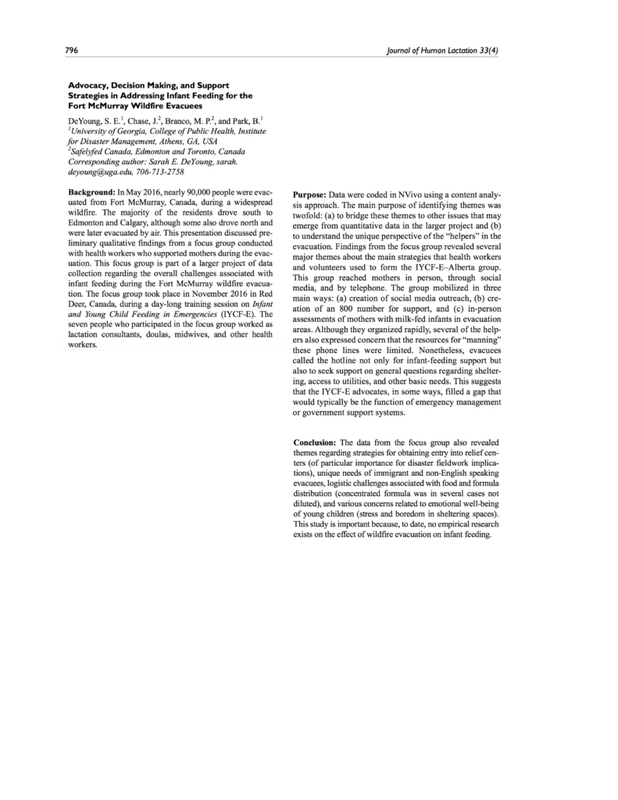 March 2017 — This presentation at the Breastfeeding and Feminism International Conference in March 2017 discussed preliminary qualitative findings from a focus group conducted with health workers who supported families with infants and young children during the Fort Mcmurray Wildfire evacuation in 2016.